Groupon’s best days lie behind it. The internet coupon company led by Andrew Mason lured investors into a $13 billion initial public offering a year ago by promising hyperbolic growth in daily deals. Less than a year later, the Chicago-based company’s core business is in decline. 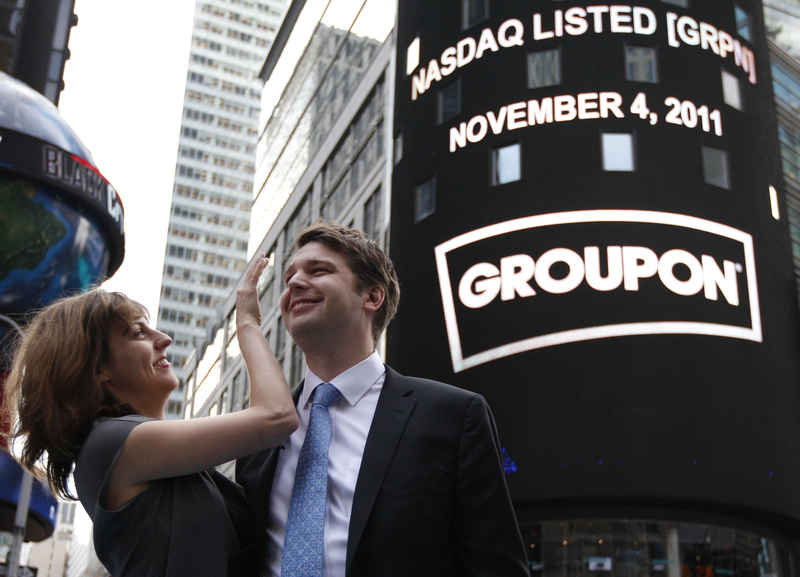 Groupon, today worth $3.7 billion, is now profitable. But there’s little assurance it will remain so. The company’s second-quarter figures look impressive enough at first glance. Revenue grew 45 percent year on year, and the company earned 4 cents a share. Dig a bit deeper, and it’s easy to see why investors struck 25 percent off the stock price. Gross billings, or the total stack of dollars coming through Groupon’s door, actually shrank about 4 percent when compared to the first quarter. That’s an important metric for the company – after all, this is how the company originally wanted to report revenue, before the Securities and Exchange Commission nixed the idea prior to its IPO. The bloom is off the company’s internet coupon deals, leaving a new business – selling goods directly to customers – as its source of growth. This shift leads to revenue looking overly plump. When Groupon sells a coupon, it only counts its cut as revenue. But when it sells physical goods, and some other items in which it holds the inventory, such as movie tickets, it counts the entire sale price as revenue. While economic troubles in Europe have taken a toll, there are signs of deeper malaise. Customer growth has slowed – the firm only added 3 percent compared to the first quarter – and the amount spent per customer is shrinking. That means rivals such as Living Social are stealing share or, more alarmingly, the daily deal is losing its appeal, and the direct sale of cut-price goods isn’t as compelling. That’s important, because the firm has turned profitable by cutting marketing spending by more than half. If daily deals continue to lose appeal, then the firm will presumably need to restore that spending to keep customers. Groupon’s promise has evaporated quickly, and its profits might too. On Aug. 13, Groupon reported revenue of $568 million for the second quarter. That is an increase of 45 percent from the same period last year. The daily deals site reported net income attributable to common shareholders of $28 million, or 4 cents per share. It lost 35 cents per share in the second quarter last year. The company’s shares fell 24 percent in early trading on Aug. 14.